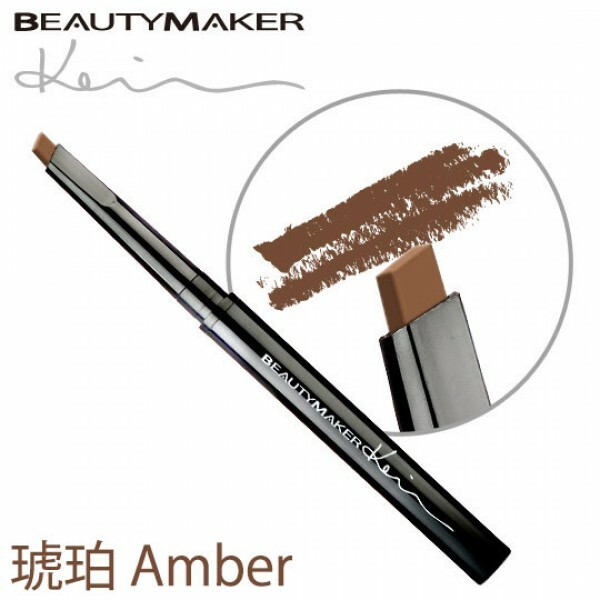 Fill gaps or lengthen the arc of your eyebrow to create the look you desire. 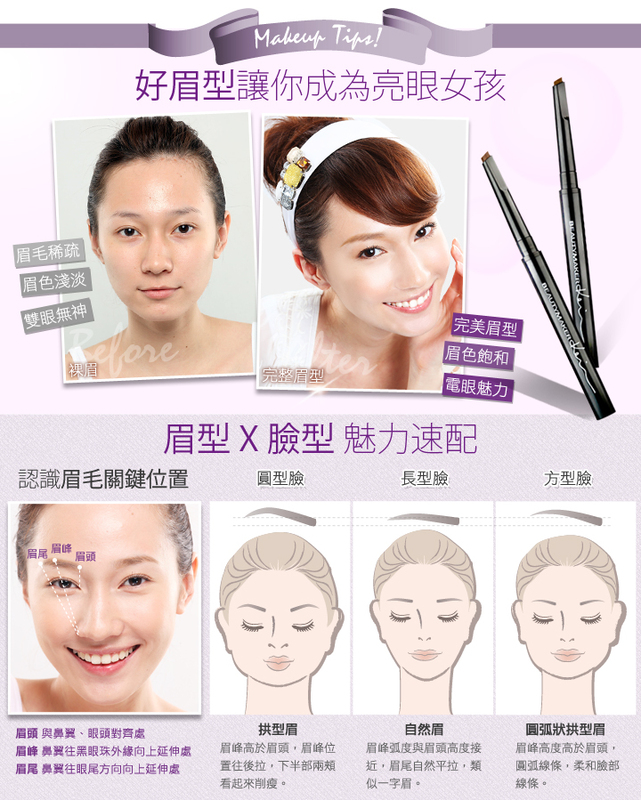 Able to make your drawn eyebrows appears as if they were REAL brows!!! The selection of an eyebrow pencil is very important if you wish your eyebrows appear natural and like you really have those brows. 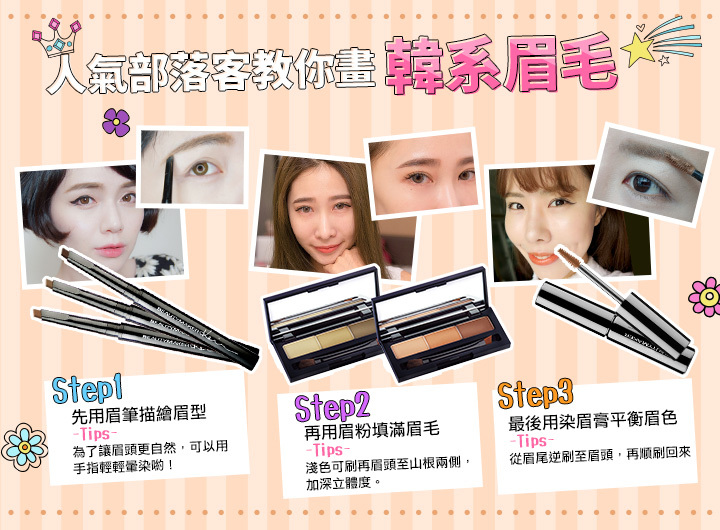 Do not need to be afraid of caking and patchy eyebrows anymore! It automatically self-sharpens and glides on without skipping. 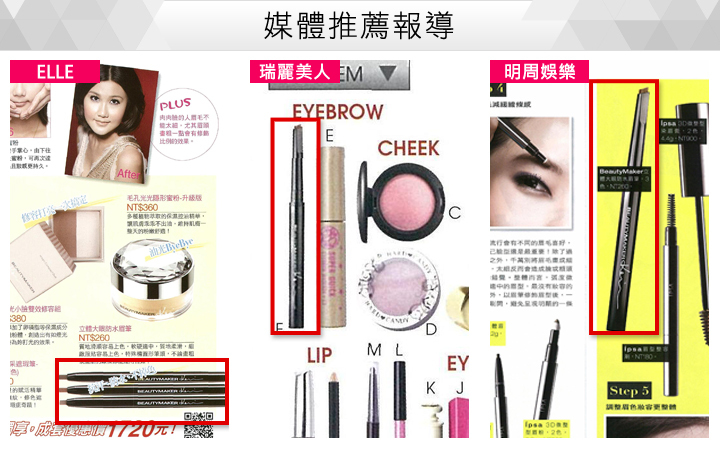 Recommended for beginners in eyebrow drawing. Just as smooth as using a pen to draw. Not a problem for any eyebrow shape! Copemicia Cerifera (Camauba) Wax, Ozokerite, Paraffin, Squalane, Candellila Wax, Octyldodecyl Stearoyl Stearate, Phenoxyethanol / Chloroxylenol, Cetyl Lactate, BeesWax, Microcrystalline Wax, Hydrogenated Triglyceride, Castor Oil Dimer Dilinoleate, Helianthus Annuus (Sunflow) Seed Oil , Tocopherol, Lanol? ?in Oil, Caprylic / Capric Ceresin Wax, Synthetic Wax, Iron Oxide Red, Iron Oxide Black, Titanium Dioxide, Hdi / Trimethylol Hexylactone, Tocopheryl Acetate. 4.Use the brow brush and carefully groom your brow to soften the color andComes in 3 colors where you are able to match, blend to your skintone and haircolor for a flawless look!